This is a photograph of Jeff Davis Duree (a.k.a. 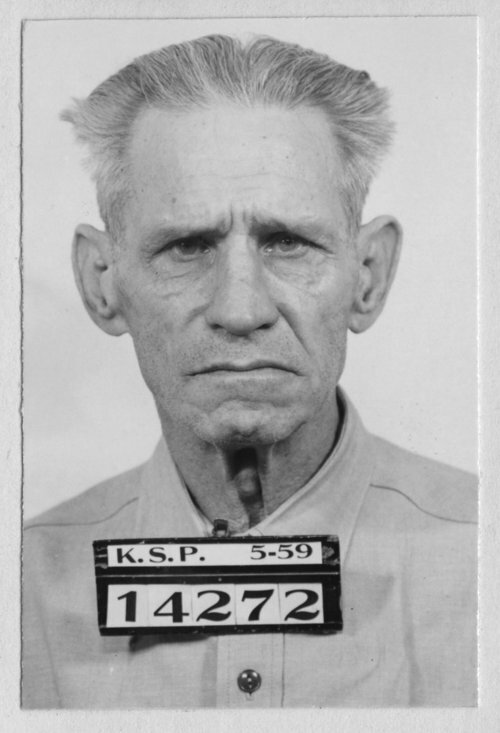 Earl Williams and Sam Miller), who was a prisoner (inmate #14272) at the Kansas State Penitentiary. He was sentenced to life on May 15, 1959 for bank robbery.